Exclusive, once in a lifetime opportunity to own a Penthouse 3 bedroom 3.5 bath home in the W Hotel Residences! 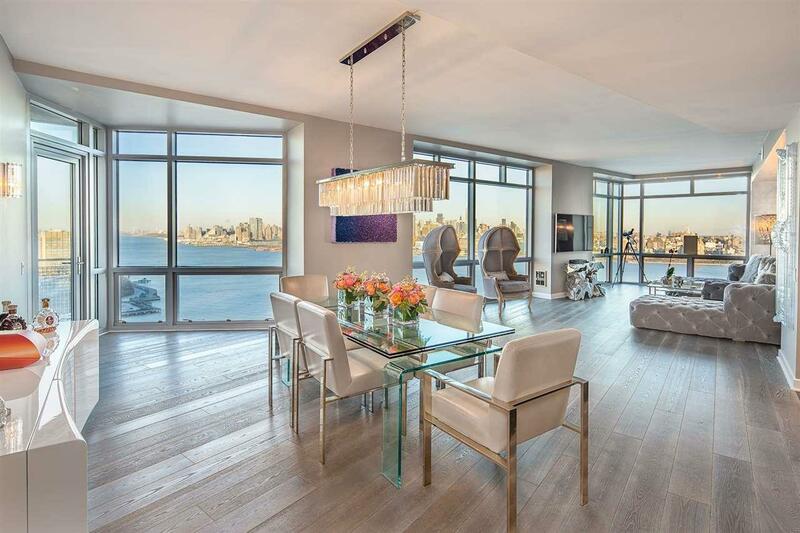 This 26th floor home is available for the 1st time in 9 years and is 1 of only 12 three-bedrooms designed by renowned architect Gwathmey Siegel. This stunning North East corner unit is one of only 4 on the Penthouse level, providing privacy and intimacy within this grand hotel lifestyle. 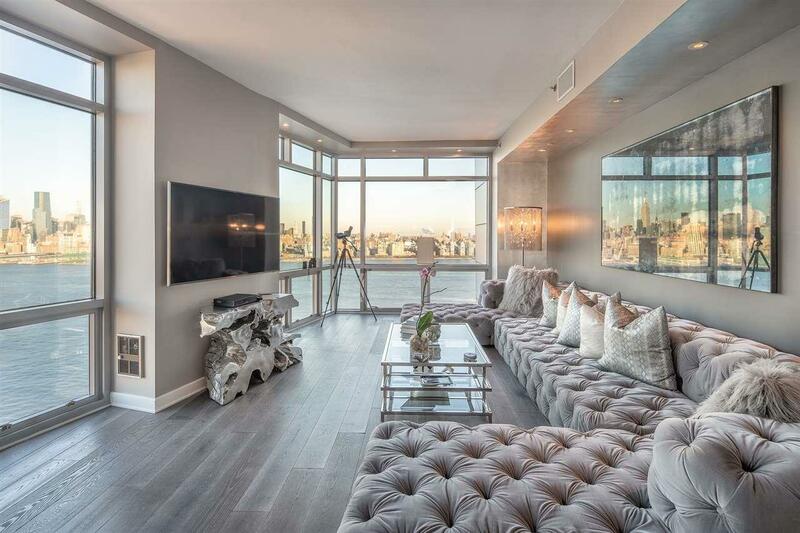 This expansive 2375 sq ft space has dramatic, curtain wall glass windows and 10 ft ceilings throughout, capturing spectacular panoramic NYC views from the GWB to the Freedom Tower. 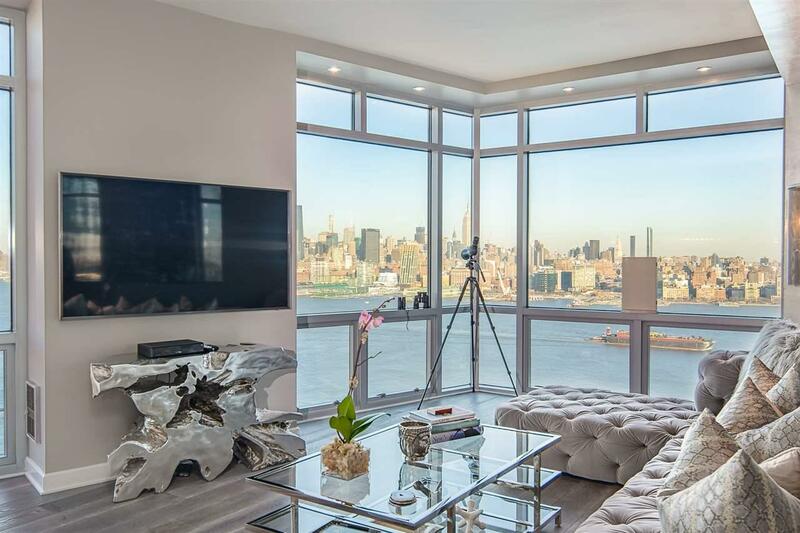 This unique, ultra-luxury home is complete with 2 private balconies offering incomparable views of the NYC skyline. The open concept design provides a natural flow from the kitchen to the living/dining area, perfect for entertaining. The Chefs kitchen finishes include Viking Professional Series cooktop and hood, Thermador triple wall oven and Miele dishwasher, Sub-Zero built-in refrigerator/freezer, Viking Professional Series Wine Cellar, JetMist granite floors and countertops and sleek aluminum-finish cabinetry. The well designed layout features an over-sized master bedroom suite with, master bathroom and private balcony. The custom 5-fixture master bathroom is finished with JetMist granite countertops and floors, luminous glass tile, Kohler Faucets, dual vanities and a soaking tub. The two additional, spacious bedrooms also feature private en-suite baths and direct NYC views. The amenities found in this 5 star luxury lifestyle include: Whatever/Whenever Service (personal concierge), Fit Gym, Bliss Spa, Valet parking services and Housekeeping Services. Fine dining on site and shopping on site. 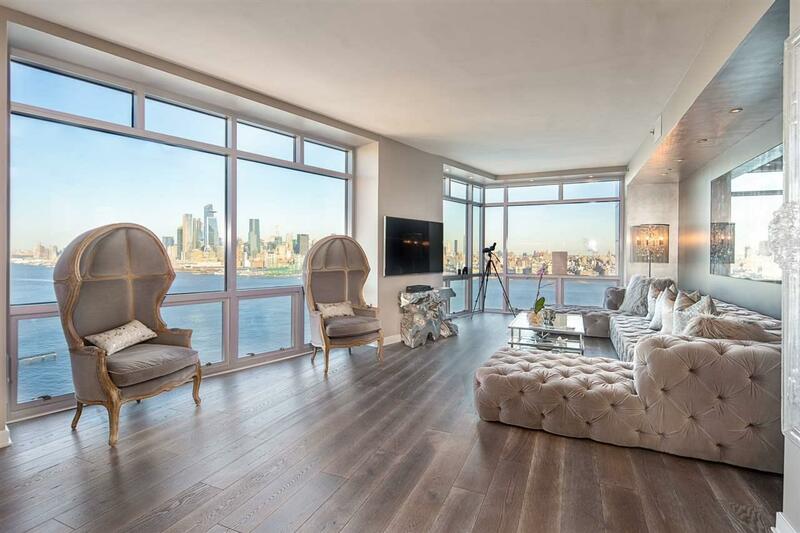 This amazing waterfront location is located only 3 blocks to the Hoboken PATH, NY Waterway Ferry, Light Rail and Train.